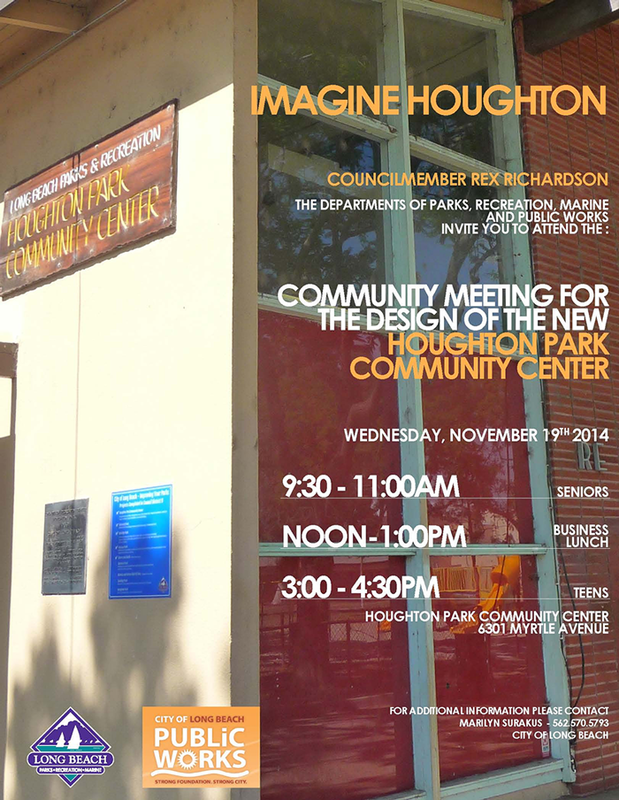 District 9 Councilmember Rex Richardson is inviting residents to share their voice, and their wishes for the new Houghton Park Community Center. Richardson, along with the Department of Parks, Recreation, Marine and Public Works, will hold three community meetings next Wednesday to gather ideas for making the new center a reality. A meeting for seniors will be held from 9:30AM to 11:00AM, a business lunch will be held from noon to 1:00PM, and teens will be invited to share their input from 3:00PM to 4:30PM. All three sessions will be held at the current Houghton Park Community Center, located at 6301 Myrtle Avenue, on November 19.